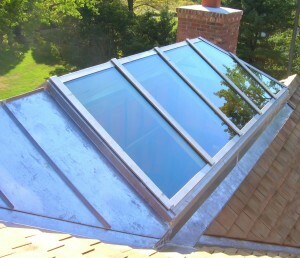 Glass House, LLC. 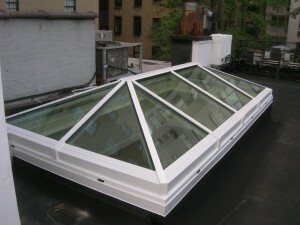 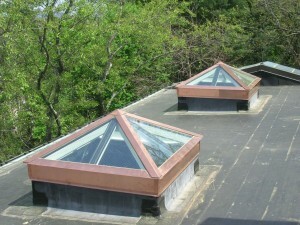 offers standard, custom, copper, commercial, and specialty skylight units. 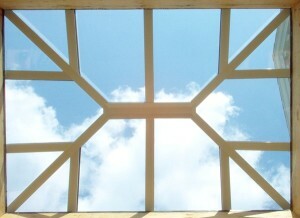 They are available in aluminum framing or molded-wood framing. 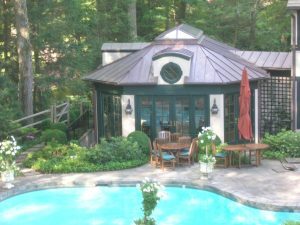 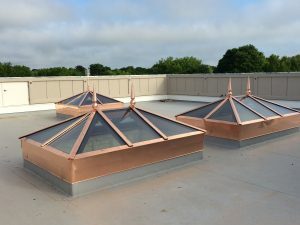 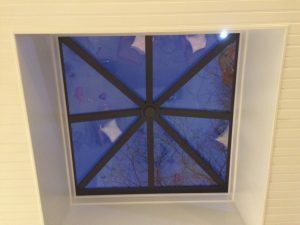 Copper skylights are designed to suit each given application from hip skylights, octagonal, flat skylights, lanterns, and more. 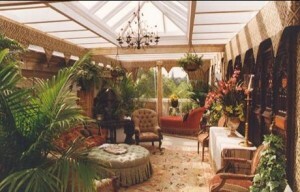 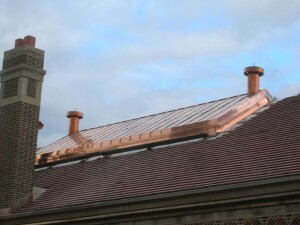 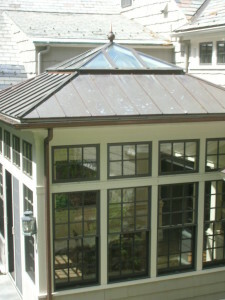 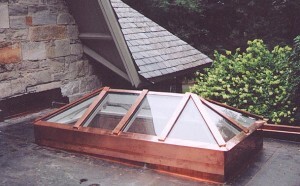 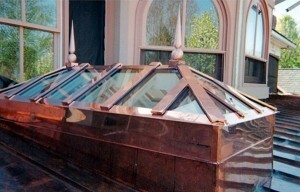 Individually tailored wood-framed skylights clad in copper add appeal to your roof top application. 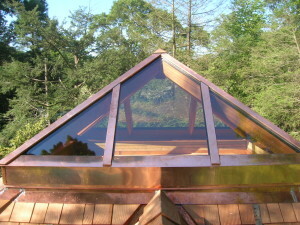 Colorized options for copper are available. 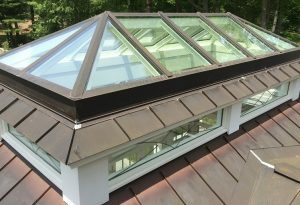 Aluminum Skylights feature dark bronze or white Polycron finish T6063 extruded aluminum, thermally broken framing with internal condensate gutter and concealed fasteners. 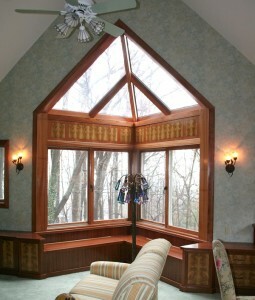 Available in standard or custom sizes and shapes. 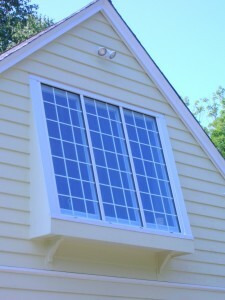 Custom color powder coat finishes also available. 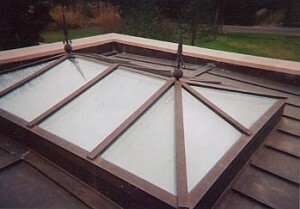 Specialty skylight shapes include: hips, gable, flat, curb mounted, octagonal, pyramid, and radially-segmented. 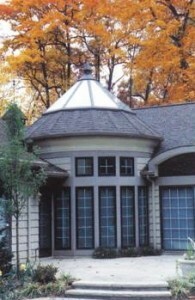 Each designed with your specific project in mind. 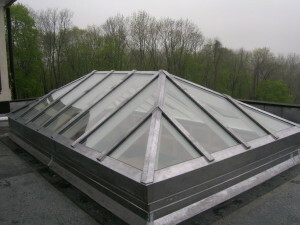 Give us a call to see how we can be of a service to you. 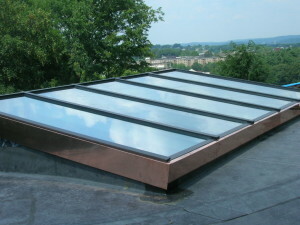 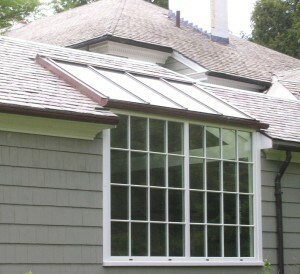 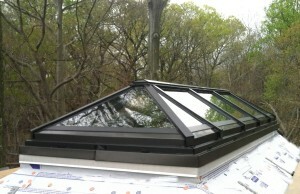 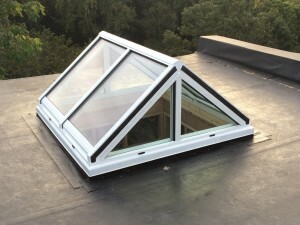 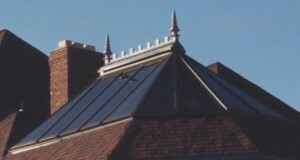 Replacement skylights fabricated to your existing rough opening size, whether it be the same style or a new design.